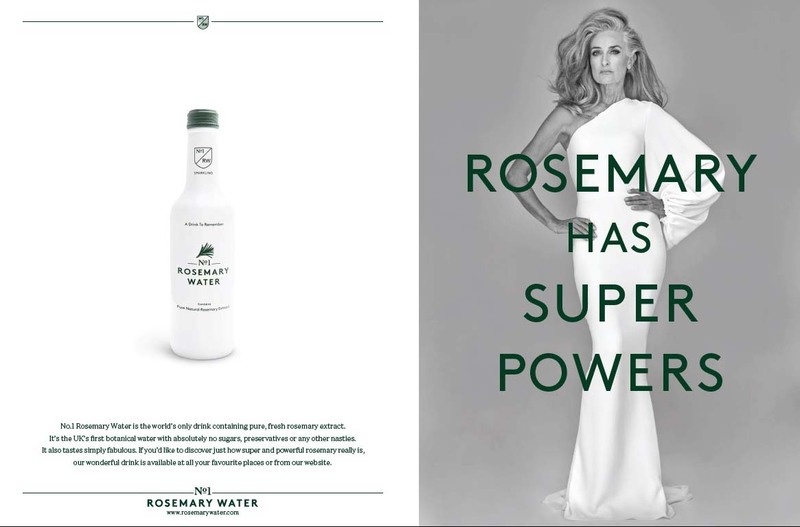 Botanical drink No1 Rosemary Water has reinvented its advertising message, after its previous campaign was banned by the ad watchdog for disallowed health claims. The brand is taking out double-page spreads in Conde Nast titles Vogue and GQ, featuring a new character, Rosemary – played by 56-year-old marathon runner Caroline Labouchere – who personifies the herb of the same name. The ads were created by freelance creative Simon Brotherson, who was previously a creative director at Grey London. The media is being handled by Bountiful Cow. 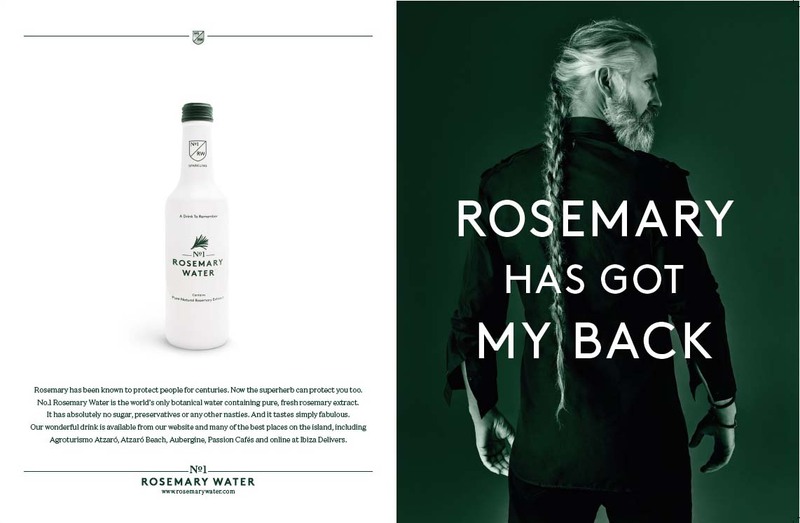 The drink, which is made of water with rosemary extract, was created by serial entrepreneur David Spencer-Percival, and inspired by the village of Acciaroli, Italy, where the villagers’ habit of eating large quantities of fresh rosemary is said to contribute to their unusual longevity. 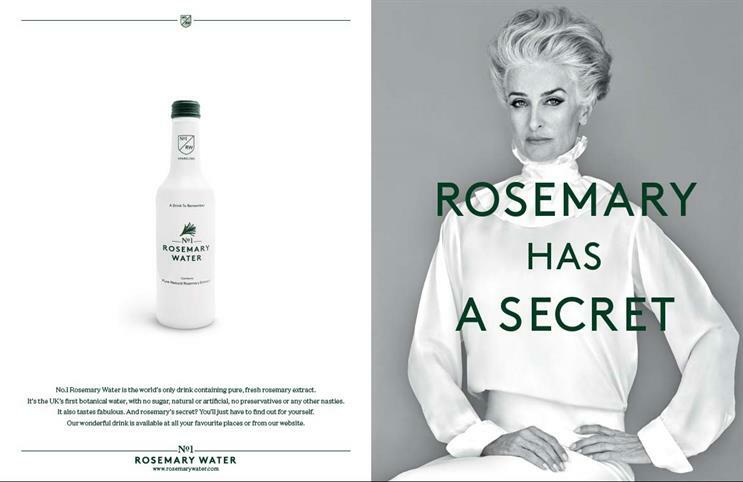 The drink was launched last year with a campaign directly linking the herb to a series of health benefits – while a film for the brand appeared to show an elderly woman ageing backwards after drinking the drink. In January, nine of the brand’s executions were banned by the Advertising Standards Authority for making a range of claims. But the brand has now taken a new approach that aims to allude to the benefits of consuming rosemary, while staying on the right side of the CAP Code. Spencer-Percival said: "Because of EU legislation we have to prove our health credentials through a long and pharmaceutically-focused process of clinical trials. Less than 10% of the natural health applicants that go through that very expensive process are successful. "Therefore, until we have completed that process, we've had to change the way we deliver our message – and this campaign is the stunning result. "We believe we've created a beautiful and powerful campaign that is perfectly suited to Conde Nast's sophisticated readership with its messaging. This is Rosemary at her very best. And what better way to showcase rosemary's secret too."